When Bent Water Brewing opened their Lynn location, they pitched the idea of a mural on the front of the building. 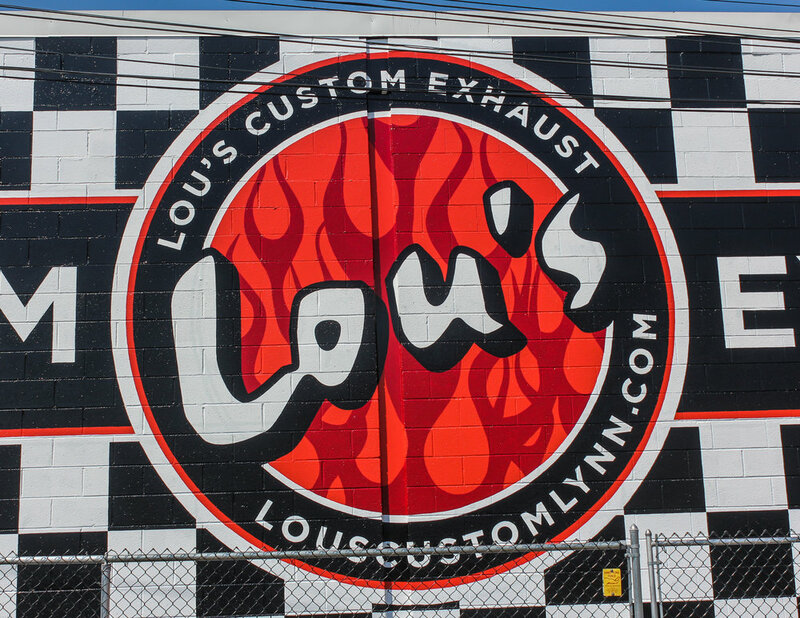 Lou's Custom Exhaust shares the other half of the building and they loved the mural idea, so they wanted one as well. This wall was the same size (50'x20') as the Bent Water wall and we were able to complete this one directly after we finished Bent Water. If you travel the Lynnway, you' likely have seen these many many times.